Breaking up with the life partner or boyfriend is a very painful event and it takes a lot of time to overcome the grief. If you still love him and the sweet memories of him still haunts you then you are more likely to get him back, but every time you try to reach him, he is not available. Breakup on good terms has chances of a reunion, but if you have parted your ways with bitterness then reunion chances are very slim. If you are meeting him or seeing him continuously, but could not decipher his feelings about you after breakup, then you should try to understand the signs to know if he is still angry with you or hates you. 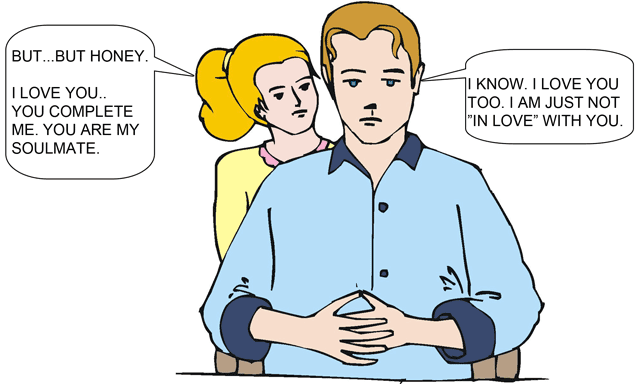 Here are some signs which help you in concluding that if he wants you back or not. If you are trying to contact him after the breakup and every time either the call goes to voice mail or the phone get switched off, then it seems that he is really not interested in talking to you. Another aspect of this situation is that maybe he wants to make sure that you are really serious in winning him back. If you think that you can resolve the matter, then keep on trying, but if tells you clearly not to contact him then running after him is in vain. You will only prove yourself needy, annoying, clingy, pushy and disrespectful. One possibility, of breaking up with you is that he has lost his interest in you and found his happiness elsewhere. In this case, getting him back is like making fools of you. If you are not the reason of the end of a relationship and he clearly told you not to even try of patching up then he is not worthy of you. This is time to move on in the life. If your ex is always temperamental and makes fun of your feelings in public then it was certainly not a good relationship. If you are going after him after the breakup and he abuses you, ignores you publicly, and humiliates you then you should accept that there are no feeling left for you in him. If you have cheated him or have done something bad, then his negative response is justified, but if you are not at fault then he is not good for a chase. A relationship without trust is like a body without soul and nobody wants a void in their life. If you have done something to breach his trust and he has told you that he cannot trust you again, then he doesn’t want you in his life anymore or is not interested in giving a second chance. This is a clear cut sign that he doesn’t want to see you again in his life. If you find out that he has removed you from his friend list, deleted all your photos from his accounts, disconnect all his social links then he doesn’t want you to be a part of his future.